When you mention comic books to the average person, the first thing that will most likely come to mind are “superheroes”. And honestly, would you expect anything else? In the last ten to twelve years, superhero movies have flat out dominated the box office setting and subsequently broken record after record. 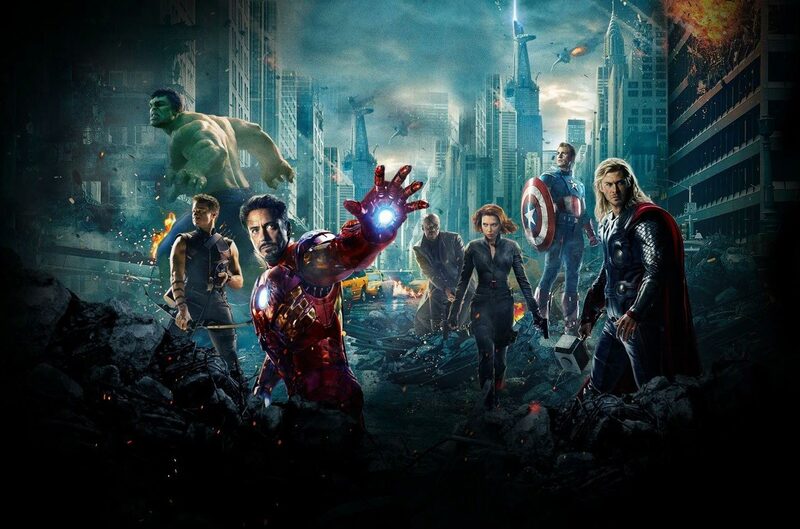 In fact, Iron Man 3, just recently surpassed $1.1 BILLION in ticket sales worldwide. That’s billion with a b - just to clarify any suspicion of typos. The other four films taking the spots above Iron Man 3 are Avatar, Titanic, The Avengers and Harry Potter & the Deathly Hallows Part 2. Not bad that two of the top five grossing films of all time can find their roots within comics. While it’s true that not everyone is aware that comic books are not simply reserved for muscle bound men and woman flying around in tights and capes, I believe the majority of people who viewed Marvel and DC’s productions on the silver screen can write off the medium as simply superhero books. If you choose to do that, you’re missing out on a whole hell of a lot. 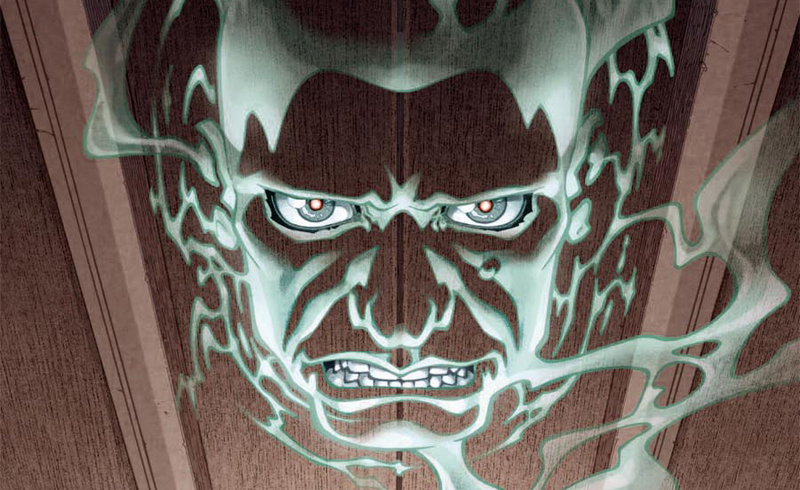 In fact, there’s been a great number of critically acclaimed comics that feature characters without superpowers. Some noteworthy books include Road to Perdition, Ed Brubaker’s Criminal and Fatale series, Y: The Last Man, The Walking Dead and A History of Violence just to name a few. Given the success of the aforementioned books, over time many novelists decided to throw their proverbial hats in the ring testing their hand at this visual style of storytelling. Longform writers like Duane Swierczynski, Greg Rucka, Michael Chabon, Stephen King and last but not least, King’s son Joe Hill, have all broken into the funny book business. While a few of the above noted talents did venture into the realm of superheroes, many of them pursued a different avenue. 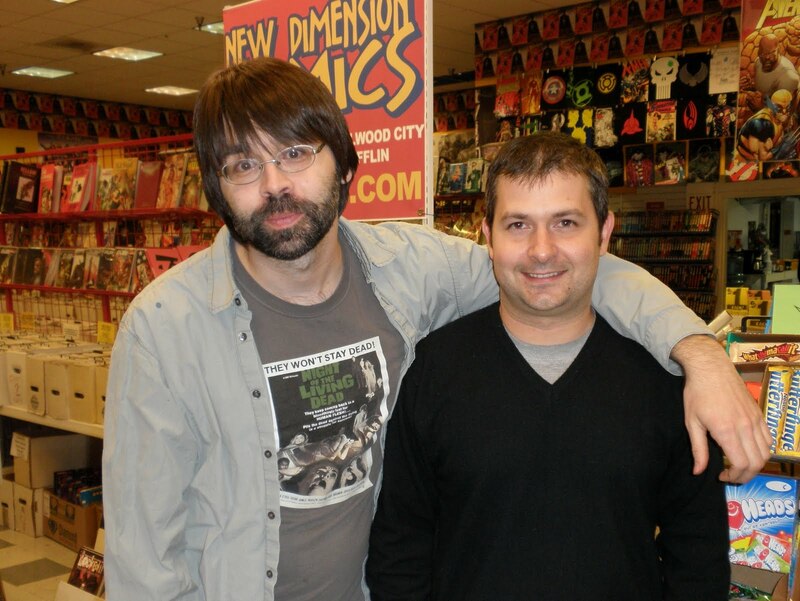 When it came to Joe Hill, he tossed out the tried and true formula of spandex-clad do-gooders battling evil do-ers and presented a story about loss and how to move on. Latching onto themes such as friendship, substance abuse and what it means to show fear, Hill created a story that is highly relatable despite the fact he has demons, ghosts and giant shadow monsters parading around in the background. Locke & Key is the story of a young family, while grieving over the sudden loss of their father, relocating to a small town in Massachusetts named Lovecraft. Moving back into their ancestral home, dubbed Keyhouse, the Locke children begin to find keys that unlock (pun totally intended) impossible powers and secret locations. While the children believe themselves to be the only ones aware of their existence, they’re soon pursued by a demon known as Dodge who intends to use the keys to open the door between our world and Hell. The writing in this series is stronger than Superman on steroids. 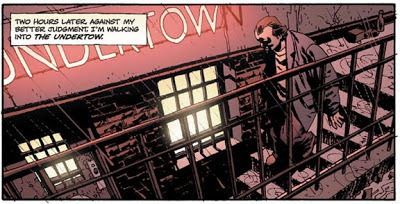 Hill has flexed his creative muscles and brought characters to life that will stick with you long after you've blown through any of the first five volumes. There are moments where I’m not afraid to admit I may have lost my manly composure and shed a few tears. What? This is powerful stuff, OK? You try getting through volume five without getting a little choked up. The artwork deserves its fair share of praise as well. Artist and collaborator Gabriel Rodriguez’s visuals are strong in all the right areas. The expressions on the faces of certain characters can be both terrifying as well as heartbreaking. Due to the success of Locke & Key, he’s struck up quite the partnership with Hill that has begun to venture outside of this series. Most recently, Rodriguez has added some illustrations to Hill’s most recent novel, NOS4A2 in between chapters. Patrick Swayze, this is not. 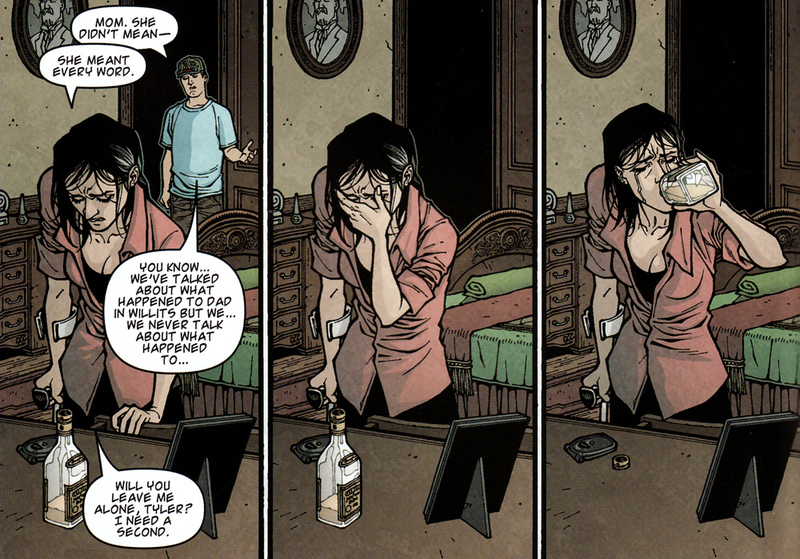 It should also be worth noting that Locke & Key has been tapped for a television series. While it was not picked up by FOX (no surprise there), you can view the pilot trailer online. The producers were shopping it around to other networks, most notably MTV, but were unable to find an interested party. I’m unsure if it really captured the feel of the comics but that’s entirely subjective. I tend to favour the source material when something is adapted to television or the movies but that’s just my view - it’s not right or wrong either way. As of this writing, the series is winding up with only three issues to go. The final seven issues have been divided into two sections. The first five issues are presented under the banner of “OMEGA” while the final two issues (32 pages each) are published as Locke & Key: ALPHA. While I’ll be sad to see the series end, I’ll be happy to know that Hill and Rodriguez were smart enough to end things on a high note. 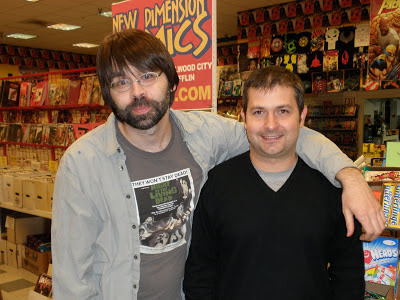 Knowing how successful this partnership has been (Winning two Eisner Awards, two British Fantasy Awards and receiving several nominations), I’d venture to guess they’ll be working again in the future. One can only hope. Fantastic write up Brandon! I'm so excited to get back to this series. I've read up to Volume 4, and really looking forward to the rest. Five stars all the way for me! I'm going to be such a sad Brandon when it's all over. I hope they continue to work together.